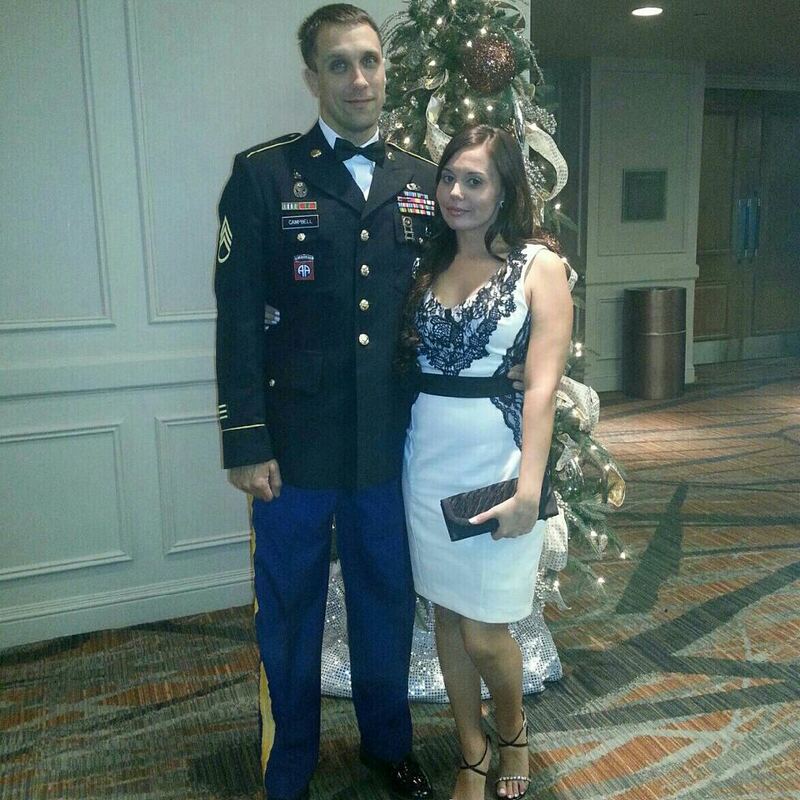 Candice Marie's Closet: Military Ball! The other night we attended the bf's company ball. I got this fabulous dress from Kohl's (from the JLO collection). The dress was the perfect material made to flatter any figure. I just loved the contrast of black lace against the ivory. I didn't need a slip under it either, it is pretty thick material. The shoes are old, I have seriously had them for like 10 years and they have lasted me a LONG time haha. I love them. I can't even remember where I bought them way back when. I unfortunately only had my phone camera and IG pics. SO enjoy!